Send email to mamleoinc@gmail.com or contact us directly at (617) 436-6868. SPREAD THE WORD to your contacts and invite any potential candidates to this session. 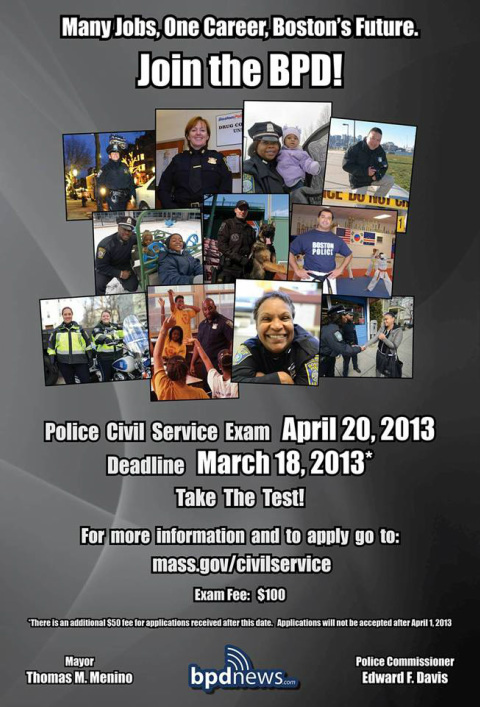 This examination is being held to establish an eligible list from which to fill Police Officer vacancies in civil service cities and towns, and MBTA Transit Police. This eligible list may also be used to fill Police Officer vacancies in non-civil service jurisdictions. This examination is also being held to establish an eligible list from which to fill non-civil service Trooper vacancies in the Massachusetts Department of State Police. Applicants will have the option to have their exam results apply to: 1.) both Police Officer and Trooper eligible lists; or 2.) the Police Officer eligible list only. Please note that this posting includes information specific to the positions of Police Officer and Trooper; please read carefully as the requirements for these positions may differ. Candidates must take and pass this examination in order to be placed on the Police Officer eligible list and/or the Trooper eligible list. All candidates must read all information in the examination poster, available at: http://agency.governmentjobs.com/massachusetts. Please note that our application process has changed. Please view the examination poster at the link above, and click “APPLY” in the upper left corner after reviewing all information. *There is an additional $50 late fee for applications received after this date. Applications will not be accepted after April 1, 2013. Written Examination: The written examination consists of three subtests: the Written Ability Test (WAT), the Life Experience Survey (LES), and the Work Styles Questionnaire (WSQ). The WAT is administered to measure cognitive abilities that have been identified as essential to performing the duties of a Police Officer/Trooper. The WAT includes areas of verbal expression, verbal comprehension, problem sensitivity, deductive reasoning, inductive reasoning, and information ordering. 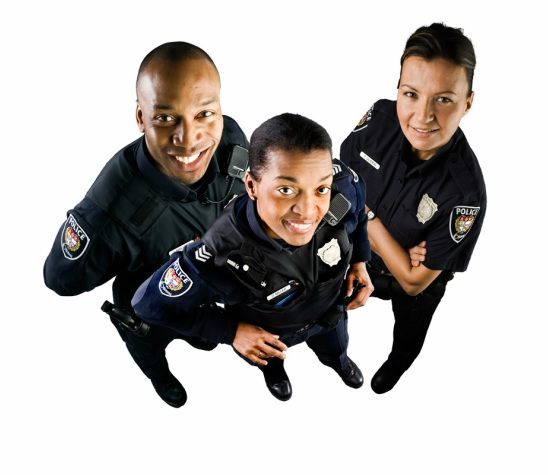 The LES consists of a series of multiple-choice questions related to candidates' past history and experience of potential relevance to successful performance of entry-level Police Officers/Troopers. The WSQ is designed to assess certain motivational, value-related and attitudinal characteristics that are of potential relevance to successful performance of entry-level Police Officers/Troopers. A Police Officer Written Exam Orientation and Preparation Guide, which describes the written examination in more detail, is available on our website. An Orientation & Preparation Guide, which describes the Police Officer examination in more detail. A quick way to search is by using Search Criteria, and limiting the search to include only “Law Enforcement” or “Public Safety” postings. 3. Click “Apply” to create an account and apply for the posting!